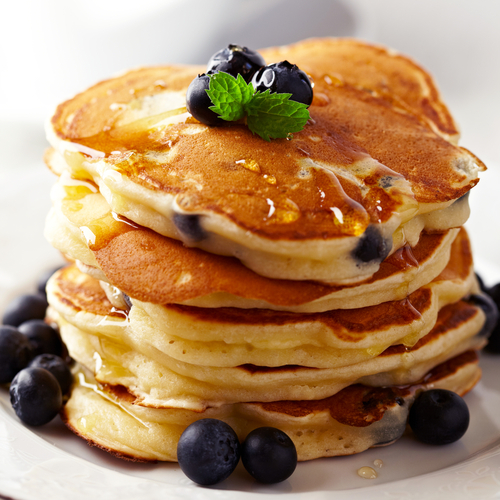 Shrove Tuesday, known to many as Pancake Day, is a day celebrated in some countries by eating pancakes. This day occurs in February or March and is determined by Easter. Shrove Tuesday is the day observed by many Christians where they “make a special point of self-examination, of considering what wrongs they need to repent, and what amendments of life or areas of spiritual growth they especially need to ask God’s help in dealing with” (Wikipedia) Being associated to Lent, and the related practice of sacrificing rich foods for forty days, Shrove Tuesday is the day before the commencement of fasting and termed as “Fat Tuesday”, allowing the eating of rich, fatty foods and pancakes with maple syrup definitely falls into that category. As a child and still to this day, Pancake Tuesday, was and is a happy day in the household where mom gets out grandma’s recipe book and produces the fluffiest, most delicious stack of pancakes topped with a dollop of butter and drizzled with the best locally produced maple syrup. You can try Grandma’s pancake recipe as seen below. In a bowl, mix together the flour, baking powder, sugar and salt. In a separate bowl whisk together milk, eggs, oil and vanilla. Slowly pour the bowl of wet ingredients into the bowl of dry ingredients and stir just until there are no lumps. Turn on the stove element to medium high heat and pour some oil in the bottom of a non-stick frying pan to cover. Once the pan is hot, pour the pancake batter into the pan, making the size pancakes you desire. (usually 4/large pan) Once bubbles start to form on the top of the batter, take a spatula and gently lift the edge of the pancake to see if it has started to brown. Once a golden colour, gently flip the pancake over. Again, wait till golden in colour. Top pancakes with butter and syrup and enjoy! We at Eventastic hope the recipe we are sharing brings a smile to your face. Let us know what you top your pancakes with to make them special.